1. You got started early, like as soon as you could write. 3. ...but you only like to write in them with your favorite pen. 4. You stay up late at night making a list of things you need to do tomorrow. 5. You make lists even to deal with emotional issues, like "Forgetting Landon." 7. When you come back from vacation and you're all relaxed and happy, you make a list of ways to stay that way even though you'll probably never look at it again. 8. You organize your grocery list into sections or aisles. 9. You have considered creating something that looks like this. 10. You add things to your lists that you've already done just so you can cross it off. 11. You make to-do lists for your significant other. 12. And sneak important jokes in sometimes. 13. You're constantly downloading new productivity apps just trying to GTD. 14. You're into chalkboard paint. 15. You make lists of the books you want to read. Here's some help with that: 65 Books You Need To Read In Your 20s. 16. And restaurants you want to try. 17. And songs want to sing at karaoke. Bonus points if you keep a shared google doc of karaoke songs with your friends. 18. 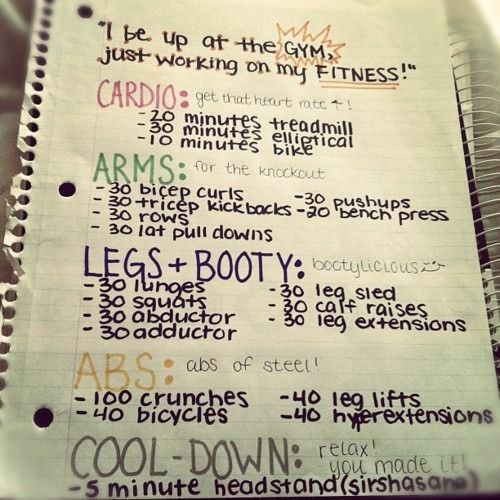 You feel the need to write down your workout routine. 19. Sometimes it feels like making lists is just another way to procrastinate. 20. And sometimes you feel like you never get anything done, even though you're trying so hard. 21. But you push through it. 22. Know you're in good company. Johnny Cash was a list maker. 24. And you may realize that lists are a part of who you are. 25. Eventually, making them may even teach you something about yourself. 26. And even though it may be a little obsessive, it's part of what what makes you a great friend or mother or sister or father.